I did it, I joined Weight Watchers! I hadn’t really planned on it – it just sort of happened. Flash back to last Friday when I met up with some girlfriends for happy hour. I am sitting on a couch between one friend that is complaining about her weight gain and another friend that is an avid Weight Watchers member. That puts me right in the middle of a conversation where the friend on my right (that has lost a lot of weight on Weight Watchers) is sharing all of the benefits of the program and my friend on my left is saying the Saturday morning meets are simply to early for her. So I pipe in and say, pick me up and I will go with you. Thinking if she commits to picking me up at 7:40, she will show up. That’s how it happened. Now, this is not my first go-round with Weight Watchers, but it has been at least 15 years since I was a member. Everything is different! The Freestyle program has me very excited! There is a a lot that I like about the new program! To start with – there is a list of 200 foods that are zero points. Pretty cool. But what I really like about the zero point food list is that it naturally has me eating much more of a plant-based diet. This take on Weight Watchers feels very Mediterranean to me. Which I have always believed to be the healthiest eating style. I am enjoying lots of fish, chicken, turkey, and even chicken sausage right along many vegetables, fruit, and grains. I love the app! Having an app on my phone that scans foods labels, tracks my points and progress, as well as syncs with my exercise (I’m walking at least one mile very day) makes managing the plan easier than ever! The community is always right there with you! 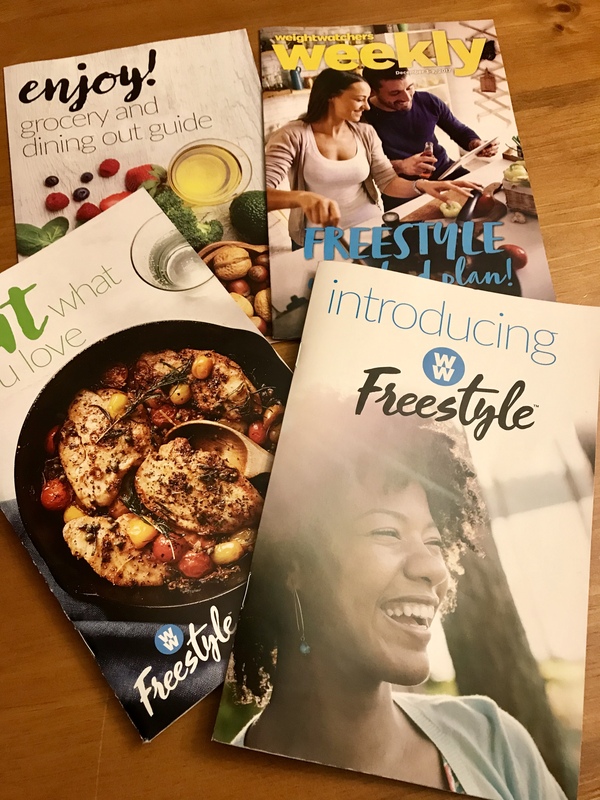 Not only do I have my Saturday morning meetings with four other friends and a large group of others trying to live a healthier lifestyle, there is also the ability to connect with over thousands of Weight Watchers’ members on the app. I enjoy scrolling through the connect section of the app for inspiration and ides. Think Instagram strictly focused on the Weight Watchers journey. Today is only my 6th day, and I admit I did not count any points after 3 p.m. on Super Bowl Sunday, but all is going well! When I feel the afternoon cravings coming on – I grab an apple or orange (right now oranges are sooo delicious) for a zero point snack. 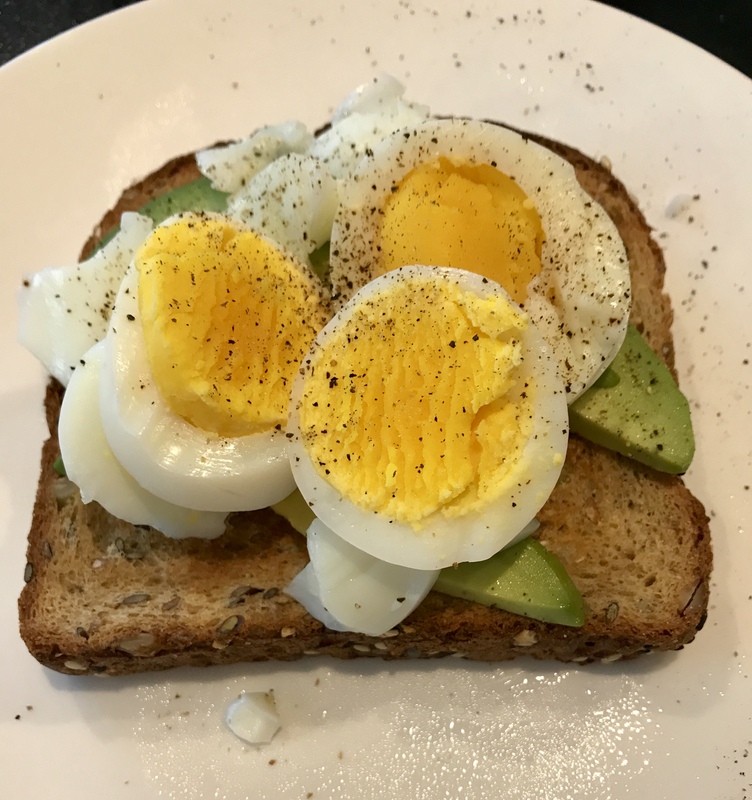 I have started most mornings with my avocado and egg toast – eggs are now zero points – for a 2 or 4 point breakfast. Sometimes I have one toast, sometimes two – just depends on how hungry I am. Lunch has been salads (lots of mixed greens, red peppers, celery, mushrooms etc) topped with chicken or tuna and two tablespoons of Balsamic Dressing. Dinner so far has been chicken with vegetables and pasta, teriyaki salmon with sautéed vegetables and rice, or chicken sausage served with sautéed onions and bell peppers. Pretty much they same meals we usually eat. I am just being much more aware of my serving size of anything that contains points, and I am filling up on the zero point foods. And Super Bowl Sunday? While I did not count my points after 3 p.m. I made a big pot of my Turkey Chili to take to my friends house. That way I knew that I would be able to add a bowl of chili to my eating for only 4 points. 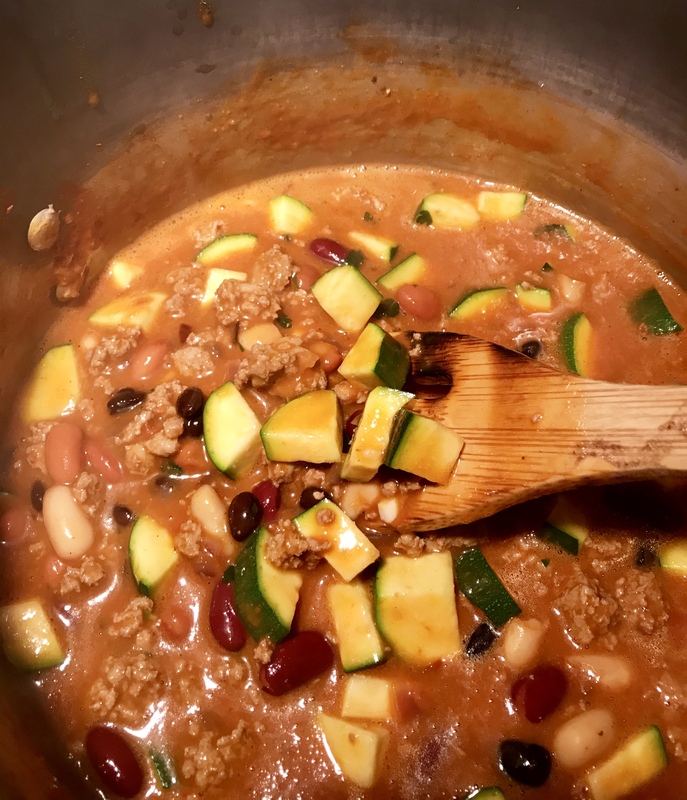 Yes, my Turkey Chili filled with ground turkey, a colorful mix of beans and zucchini is only 4 points a serving! Now I am on the quest to find and make yummy low point meals for my family and me. Of course I will be sharing the recipes with you! If you are already using the Weight Watchers app come and find me, Positively Stacey, in the community. 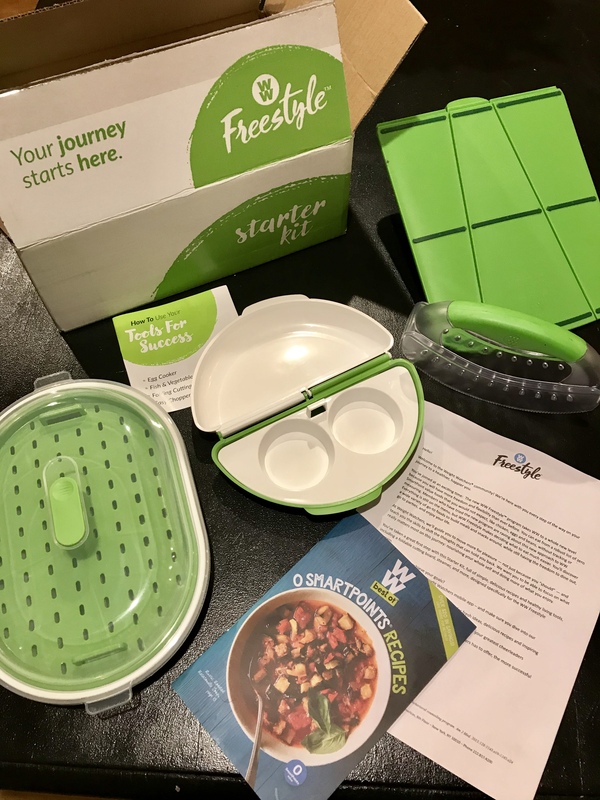 I would love to connect and we can help each other make healthier choices. Here is to my new journey to finding better health and feeling better!